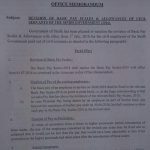 In continuation of this department`s Office Memorandum bearing No. 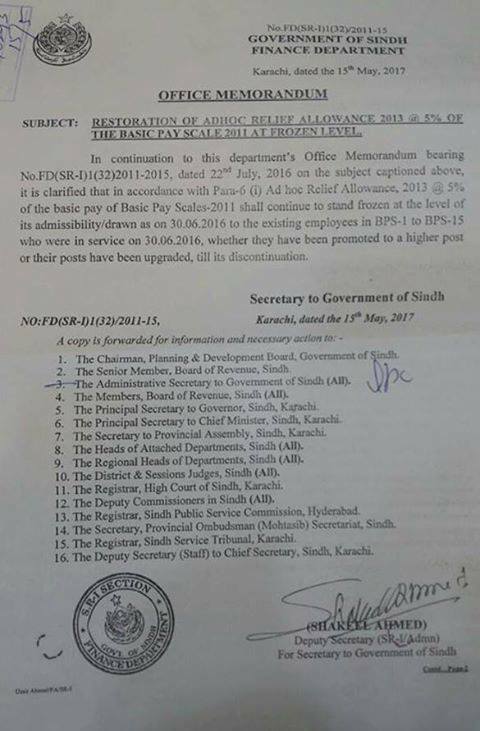 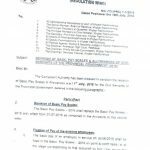 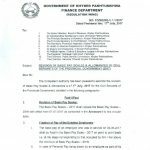 FD(SR-I)I(32)2011-2015, dated 22 July, 2016 on the subject captioned above, it is clarified that in accordance with Para-6 (i) Adhoc Relief Allowance, 2013 @ 5% of the basic pay of Basic Pay Scales-2011 shall continue to stand frozen at the level of its admissibility/drawn as on 30.06.2016 to the existing employees in BSS-15 who were In service on 30.06.2016, whether they have been promoted to a higher post or their posts have been upgraded, till its discontinuation. 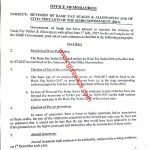 Special thanks to Mr. Sara Shahzad for sending the copy of the Notification of Restoration Adhoc Relief Allowance 2013 @5% of the Basic Pay Scale 2011. 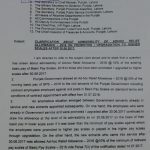 Punjab Govt has different point of view regarding forzen allowances such as 15 Adhoc 2011 and 50% Adhoc 2010. 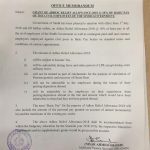 Sara shehzad is mister ?